Construction materials are heavy, and they cannot be moved by hand except in small amounts. While possible, this is incredibly time-consuming. Instead, material handling vehicles should be used to transport items around and reduce the amount of time a project takes. The primary vehicle used for these purposes is the forklift. 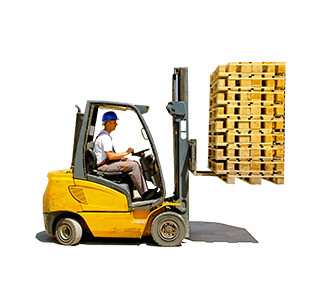 We offer several different types of forklifts for rent. 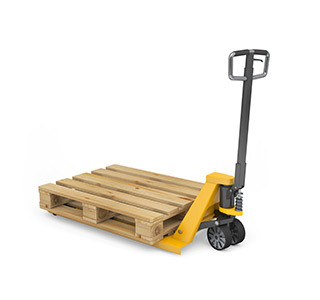 Also known as an electric pallet truck, this machine is used to move small loads across relatively small spaces, almost always indoors. It is less expensive than a forklift and arguably easier to operate. However, it does not offer the same power or load capacity. They also cannot lift items very high, only about 48 inches in height, so they are not suited to many applications. This machine features a set of forks, a hydraulic lift, and wheels.